God has given me the privilege of being Kanon’s pastor for several years now! I have watched as the Lord has grown him tremendously. Kanon came to Vision as a very young man. He had a heart to serve God. He had already been in Brazil on a short term mission’s trip of 8 months. He has been seeking how to be used of God. I can see how God has prepared Kanon for the ministry that He has given him in China. As I write this letter Kanon is finishing another missionary internship of 6 months in China. God brought a fine young lady into Kanon’s life, Nancy Kelly. Nancy comes from a family that loves Jesus and world evangelism. She has taken mission’s trips with her church and family to Peru and South Africa. She has now visited China while Kanon was there to see where they would be living and ministering. They will be married soon. They love God and will make great missionaries. Kanon has served in many ministries in our church. He has taught Sunday School, led our outreach program, started a youth outreach and discipleship, and filled in on every ministry opportunity that he could find or where he was needed. Kanon loves Jesus. You can’t be around Kanon without feeling a contagious love for Jesus. People love him and love serving with him. Nancy is sweet young lady with a servant’s heart. Losing Kanon and Nancy to the mission field has cost our church and me! He has been a tremendous blessing to Vision Baptist Church. I never want to see anyone go to the mission field who doesn’t cost the church to send them. Kanon costs. That is a tremendous recommendation. We are not sending someone extra that was sitting on the pew but a man greatly used of God in our church. 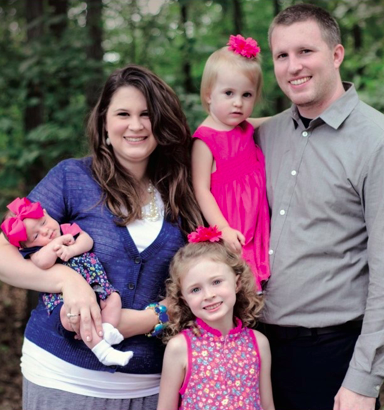 Kanon and Nancy will be serving as a church planting missionaries in China. They have prepared for this for years now. It is time! Kanon has well prepared himself for living overseas. Nancy loves Jesus and has paid the price to grow and learn how to serve Jesus in China. Kanon is a man of great character. He is hard working, diligent, faithful, and hungry to be used of God. Kanon is taking a very big step now as he sets out to start deputation. He is still in China as he makes his deputation calls. He has already learned some of the language. He has lived with Chinese men in the Bible school dorm. Both Kanon and Nancy are ready to go. China is in desperate need of church planting missionaries, the kind that really start churches! Churches are being started there with regular services, real Bible preaching, and evangelistic outreach. I wanted to write to you and ask you to have Kanon in. He will bless your church. He will do a good job in China. He is worthy of your support. If you have any further questions about Kanon, his character, dedication, preparation, or service please feel free to give me a call. Austin and his wife Betty Gardner have been serving in church ministry since they were both nineteen years old. They were church-planting missionaries to the country of Peru, South America for 20 years. Together with a faithful band of men, Austin and his team were able to start over 70 churches in Peru, as well as a Bible college called Peru Baptist College. 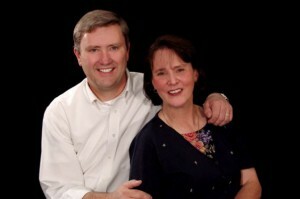 Austin and Betty returned to the States in 2005, where he established the ministry of Vision Baptist Church and the Our Generation Training Center, a training program for young missionaries, in Alpharetta, GA. I am honored to recommend Kanon to be a missionary with Vision Baptist Missions. I have had the privilege to work alongside of Kanon and see his heart for the Lord, his love for people, and his good attitude towards all that he does. He is a man of character and has a good testimony at our church as well as with the mission board. Supporting Kanon will be a wise investment of your missions dollars, and I am certain that God is going to do something special in and through Kanon`s life. Thank you for considering Kanon. If you have any questions, please feel free to contact me at 770-362-3795. 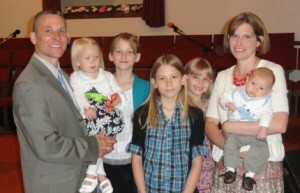 Jeff Bush became the Vision Baptist Missions Director on May 13, 2012. Prior to this assignment, the Bush family served as missionaries in South America for twelve years. Out of those twelve years, eight were spent in Argentina. The Lord tremendously blessed the ministry there with four churches established and left firmly planted with national leadership, a Bible college, and radio ministry. I wholeheartedly recommend Kanon for missionary service to China. He has had thorough training and mentorship at the Our Generation Training Center in Alpharetta, GA. Part of this training was an internship in mainland China. I was privileged to be one of the missionary he worked with during this internship. I found Kanon to be a hard-working, teachable young man who is hungry to be used by God. Kanon has proven His desire and thus call to ministry in China. He made good progress in his study of the Chinese language. Kanon has the needed bold approach for ministry in China to evangelize people of all ages who have never heard the gospel. He has spent countless hours teaching the gospel and the Bible in many settings that has helped prepare him for future ministry in China. It has been a delight to host Kanon during his internship and we are looking forward to see how the Lord is going to use him when he returns to China full-time. If you have any questions or concerns about Kanon and his ministry in China, please feel free to contact me with the above contact information. Mark Tolson along with his family have served as church planting missionaries to China since 2009. They are currently serving on the field. Mark has much experience with ministry in China having spent time on the field and planted a church in China.